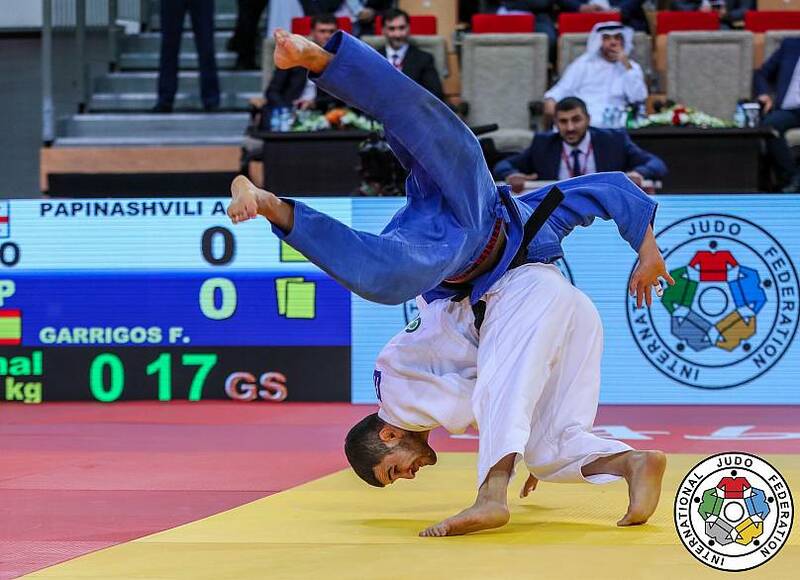 There was some thrilling judo on day one of the 2018 Abu Dhabi Grand Slam in the United Arab Emirates, with fair play centre stage for all on the eve of World Judo Day. Our Woman of the Day was Nora Gjakova of Kosovo. Displaying some brilliant Judo in her semi-final, she overcame Lien Chen-Ling of Chinese Taipei to lead her to the Gold medal contest in the -57kg category, in which she demonstrated a Koshi-guruma attack that threw Anastasiia Konkina of Russia for Ippon. This was her first Gold medal at a Grand Slam on the IJF world tour. "Well it really feels amazing, I almost forgot how it is to be on the podium, because of the two last competitions that I lost, and especially in the world championships, where for me it was a disappointing result, and coming back from that disappointing result, for me is really good. 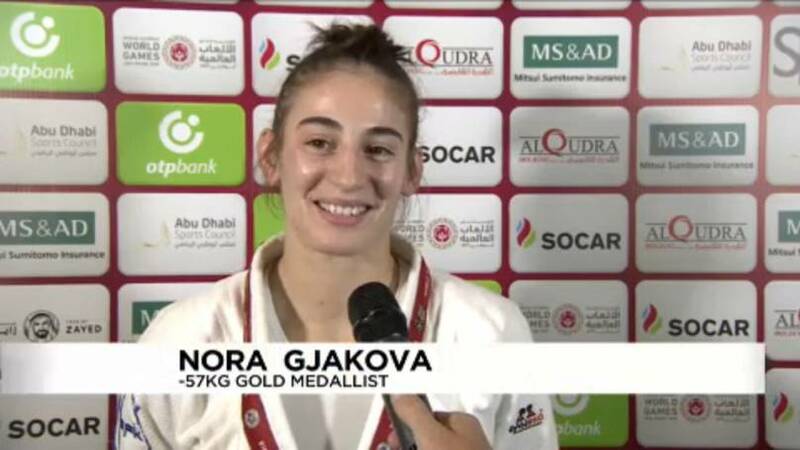 It’s my first grand slam gold medal and of course I’m really really happy," said Nora Gjakova in an interview. Vazha Margvelashvili was our Man of the Day. The -66kg athlete stood on top of the podium after a confident display of Judo all day in Abu Dhabi. In the final, he fought Yerlan Serikzhanov of Kazakhstan and threw with Koshi-guruma similarly to our woman of the day to take the Gold for Georgia. As the number 1 seed here today, Margvelashvili rose to the occasion on the tatami throwing with explosive judo in all of his contests. 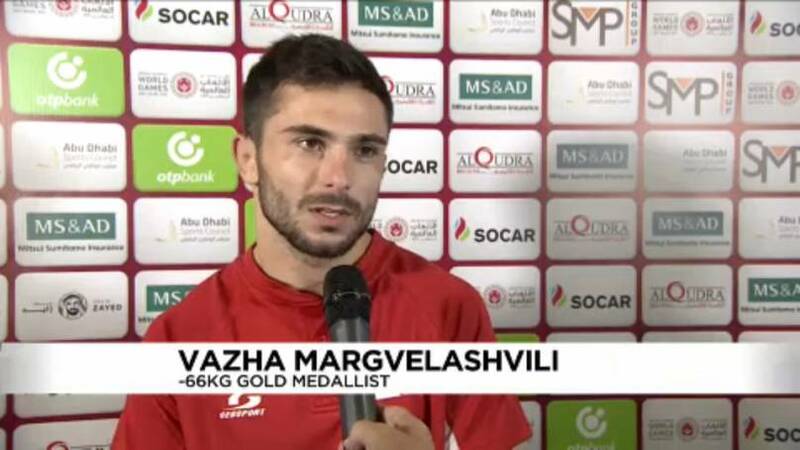 "After the World Championships I tried very hard to win some competitions and I will be ready to win more competitions; the Tokyo Grand Slam and the Masters," Vazha Margvelashvili said in an interview. 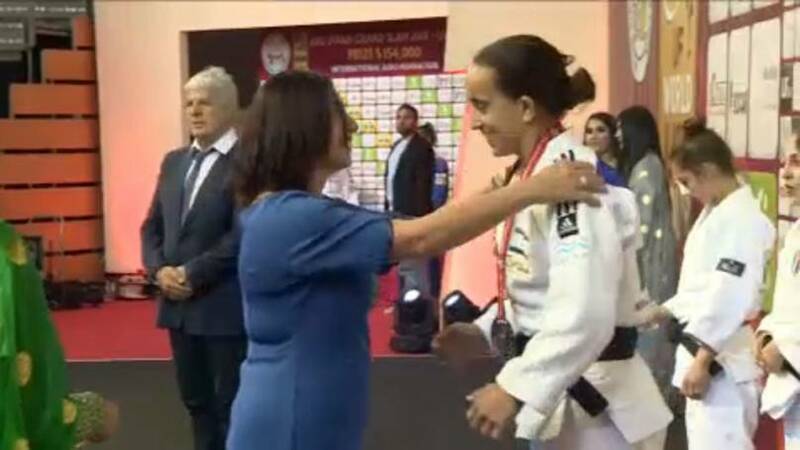 Brigadier-General Miri Regev, the Minister of Sport and Culture of Israel, presented the under 52kg Bronze medal to Israel’s Gili Cohen, before presenting the Gold medal to Odette Giuffrida, marking a first world tour medal for over a year for the Italian. The Abu Dhabi Grand Slam title at -60kg went to Amiran Papinashvili. An explosive final saw the Georgian athlete overcome Francisco Garrigos of Spain to finish his day on a high, making it two Georgian golds from two in the male weights. IJF President Mr. Marius Vizer presented the under 48kg gold to Urantsetseg Munkhbat, who took her 5th Grand Slam title for Mongolia. 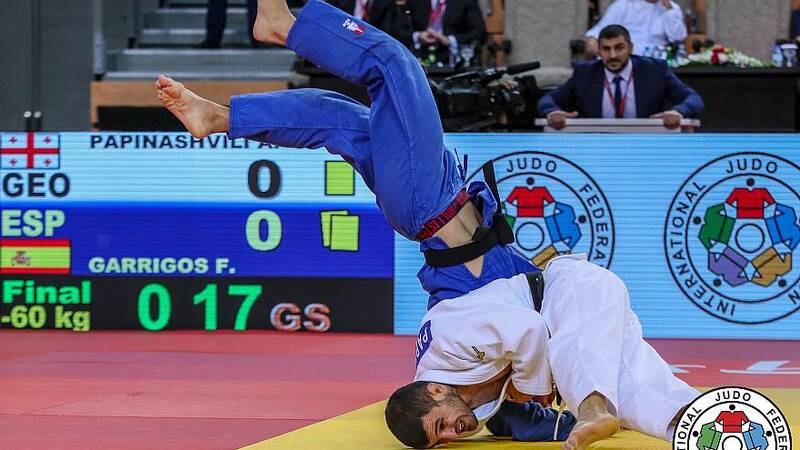 Munkhbat secured a sankaku-gatame hold down for Ippon over Distria Krasniqi of Kosovo in their final after some superb groundwork. 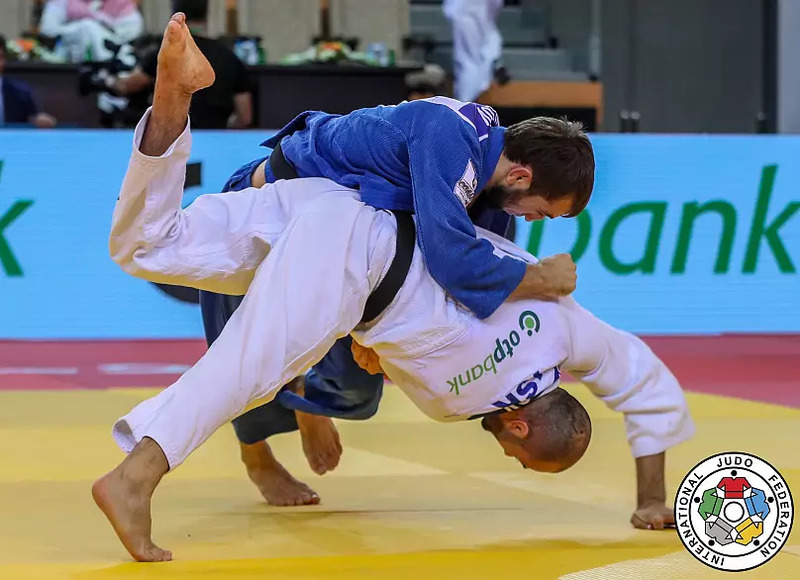 And Israel’s Baruch Shmailov pulled off our move of the day with this spectacular Ippon against Russia’s Yakub Shamilov to take a Bronze medal at under 66kg.